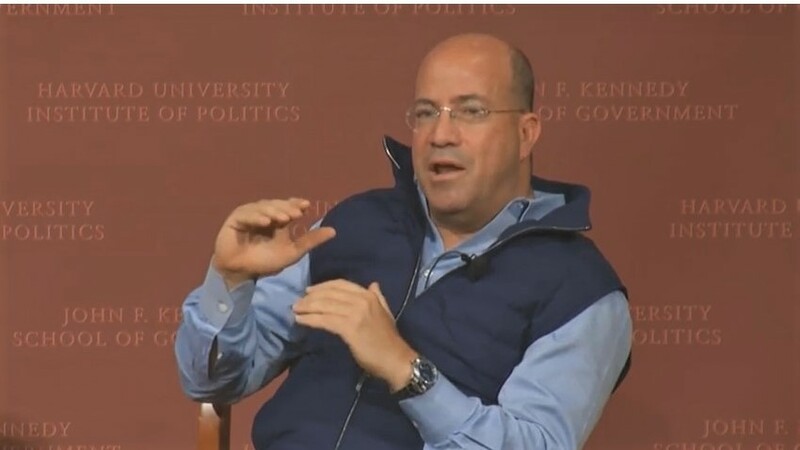 Matt Wilstein at the Daily Beast chronicled how CNN boss Jeff Zucker "unloaded" on Fox News in an interview at the trendy leftist South by Southwest Festival in Austin with Vanity Fair media writer Joe Pompeo. The latest topic was the Democrats refusing to let Fox News host a presidential debate. Put aside for a second the attacks on Fox primetime hosts, who are offering facts that liberals hate, not just opinions. By Zucker Logic, By that logic, everyone at NBC News "chose" to work for the network that made Donald Trump a national TV star, and everyone at NBC News "chose" to work for a network that tolerated Matt Lauer's sexual abuse of employees. Does that sound fair? Zucker won't take any responsibility for making Donald Trump electable, not for his work with Trump on The Apprentice, and not for his huge gobs of live coverage in the primary campaign.